South Carolina’s fried chicken scene has won the hearts and appetites of many. Most South Carolinians agree—if it’s not fried, it’s not Southern. 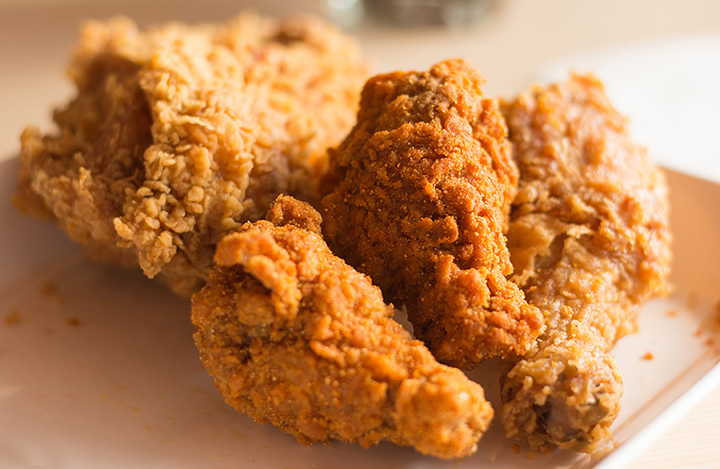 From bone-in chicken breasts to boneless chicken strips and every type of cut in between, fried chicken is simply a way of life in the Palmetto State. Which means you can find this deep south staple pretty much anywhere you go in the state. But that also means there’s a heaping helping of competition vying to be the best. It’s hard to pick just one, so here’s where you can find the 10 best fried chicken joints in South Carolina! No matter what you order here, you can’t go wrong. But this little soul food hut is famous for its fried chicken. Everything here is made to order, so you can rest assured you’re getting the freshest of the fresh. Okay, so this one isn’t just a fried chicken joint. But their quarter- and half-chicken plates are some of the best in the state. The chicken is breaded in a special blend of spices then fried to perfection. Not to mention the service here is unmatched for friendliness and speed. Don’t worry, Yogi Bear himself isn’t lurking about to steal your picnic basket. People come from hours away to get a taste of this deliciously sweet fried chicken. They also offer chicken tenders, wings, shrimp, all served up in humble digs. For chicken just like your grandma used to make, head to Carolina’s Chicken and More. This is the way home cookin’ was meant to be. Fans rave that this is the best fried chicken they’ve ever tasted, but their cheese steaks and chicken sandwiches are equally amazing. Famously known for their fried chicken sandwich variations, they take care to use chicken that’s cage-free and antibiotic-free. Take your pick of a classic chicken sandwich, or try one that’s been dipped in Buffalo sauce or a variety of other toppings (bacon jam, anyone?). Fried chicken, chicken gizzards, chicken tenders, wings, sandwiches, bird dogs - if it’s chicken, it’s here at The Chicken Basket. Aside from their famous poultry offerings, they also offer classic diner fare, like grilled cheese and hamburgers, along with a few uncommon-yet-tasty varieties like the Polish sausage dog. Honest-to-goodness soul food never disappoints. This no-frills dining establishment has been a staple of Charleston’s food scene for over 30 years, and it’s become THE go-to for tasty Lowcountry fried chicken. There’s a reason why Bernie’s has been voted “Best Chicken in Columbia” more than once. It’s because it’s true! This fried chicken hot spot gives off a small-town vibe in the big city, where everyone feels right at home from the moment they walk in. The chicken is tender, juicy, and perfectly cooked, and this consistency has been a big part of their years of success. Don’t let the giant ice cream cone outside fool you—their fried chicken outshines their cold desserts all day long. Here you can get chicken by the plate or by the tub in a variety of cuts. And don’t forget to end your meal with a hand-scooped ice cream cone! You’d think a meal like this was only possible in your mama’s kitchen. But mama may have met her match once you taste what Jestine can do! This is true southern cooking at its finest, complete with all the fixings to make your Lowcountry dining experience complete. For a tasty sweet combination, pair your fried chicken dinner with a bottle of Nehi—trust us on this one.